Gorgeous estate property set on 195 ac. Only 25 min to Hanover and 30 min to the DHMC. The 12 acre lake is the centerpiece and gateway to this amazing nature preserve. Enjoy wide varieties of wildlife right from your hillside vantage point. Long drive off of a quiet gravel road takes you to the a knoll with sweeping lake views from this one of a kind residence. 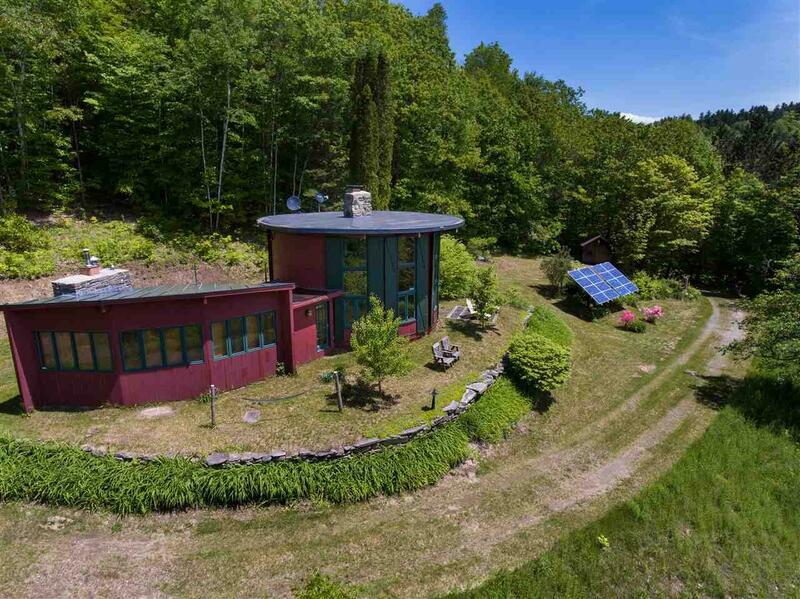 Designed and constructed by a world-champion yachtsman with the architect of Loon Mtn resort in the early 60s, then substantially renovated from 2000 to 2006. 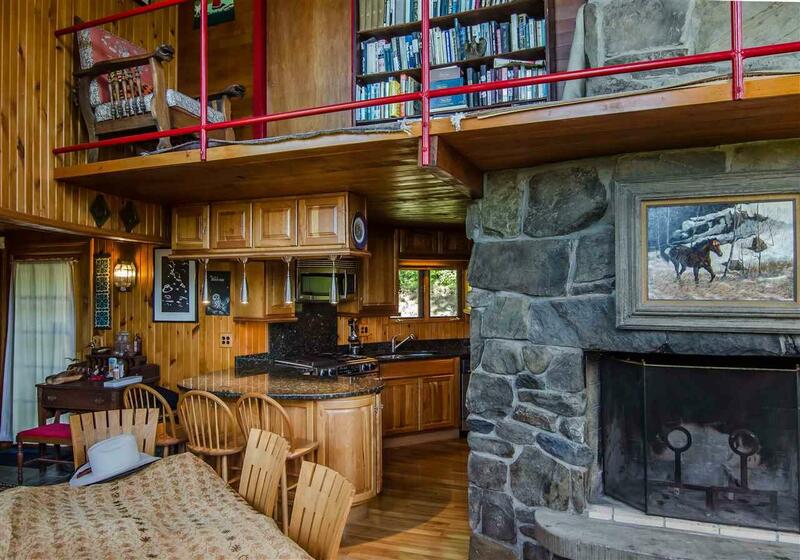 Technologically ahead of its time, this home was featured in Sports Illustrated in 1965. 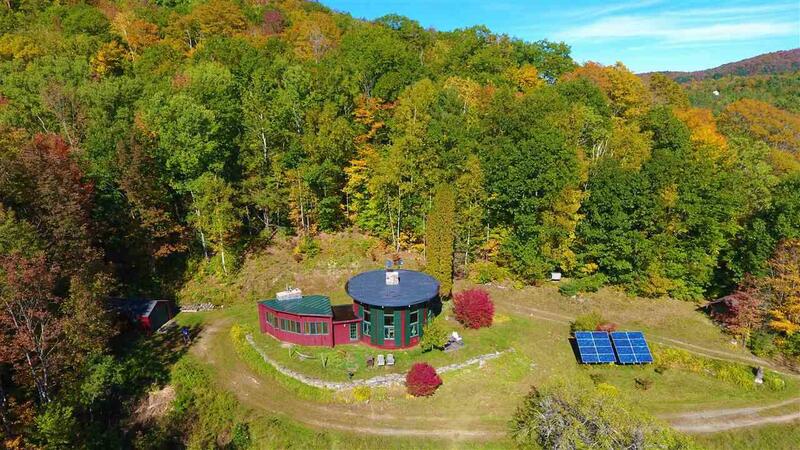 This three BR, two BA solar powered residence is currently off grid but power lines, telephone, and fiber-optic are only 1000 feet away. Owner installed 16 new state-of-the-art maintenance free Rolls 6V AGM Solar batteries in Jan. 2019. Batteries do not require water nor equalization. Power quotes are also in progress. Renovations include a cleverly designed kitchen with cherry, granite and stainless appliances that nods to the original circular great room and grand semi circular stone fireplace. Other features; granite, cherry and slate flooring, a jotul oslo wood-stove, cast iron tub, sauna, steam, heated garage and first floor BR. Heated with forced hot water sub-floor radiant heat and a Buderus boiler with flat panel radiators. 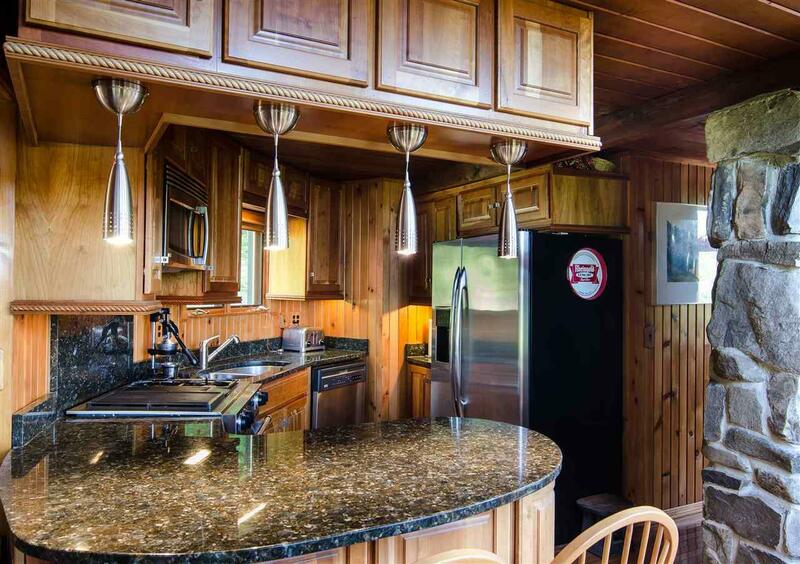 Home also has a fireplace, wood stove, and sauna heater. Alternate sites for construction of additional structures. An incredible retreat!